At Indoor Air Quality Encino, we specialize in all air quality services. The air in your home or commercial building is paramount to your health. Harmful chemicals and bad air quality can lead to anything from the common cold and other minor illnesses to cancer if carcinogens are present in the air. Therefore, Air Quality Testing is necessary in determining whether or not you and your family are safe from pathogens and sickness in the air. Indoor Air Quality Encino can help in fighting bad air quality in both your home and in your business. Our Indoor Air Quality Home service detects any and all poor air quality in the home. Not only we do checks to see if there is poor quality air, we also provide recommendations and services in cleaning and improving the air quality. No matter where we work (either in your home or in your business); we will test the air with precision and care in order to keep in safe environment either you and your family or you and your employees and co-workers. Bad and poor quality air can come from a number of different sources. That's why Indoor Air Quality Encino offers many different cleaning services to improve air quality in your place or office. 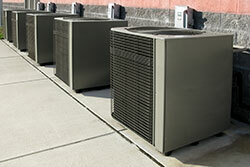 One of the services offered is Condenser Unit Cleaning for your air conditioning unit. This service is needed periodically as dirt and debris from the outside environment are pumped into your building's air through the air conditioning unit. In order for this to be prevented and the air quality to improve, regular cleaning of the condenser unit is necessary and our company provides that service. Another service we provide is both HVAC Maintenance and HVAC Unit Cleaning. Just like the condenser unit service described above, HVAC maintenance and cleaning both maintain and clean your HVAC system. Both maintenance and cleaning of your HVAC system is needed in order to maintain good air quality in your home or business. This is the case due to the same build-up of dirt and debris described above. Any air conditioning unit and HVAC system would be improved by UV Cleansers of which Indoor Air Quality Encino can provide. The UV light in these cleansers kill any microbes that are sensitive to light and that find the normally dark air conditioning units as prime places to live. Killing these microbes would greatly improve air quality and decrease the frequency of necessary cleaning and maintenance. If you already have an air cleaner in your home or business, Indoor Air Quality Encino has the capability to perform Air Filter Cleaning and Air Filter Replacement. While these air cleaners are useful in providing good air quality, the air filter should be cleaned and/or replaced often for it to remain useful in providing that air quality. This is true due to the same difficulties both air conditioning and HVAC systems have: the dust and debris from the air your cleaner purifies building up in the filter. Our company also offers a complete Air Sweep service. This service provides a complete sweep of the air in your home and business in order to check for any poor air quality. With this service also come recommendations to air quality improvement.